Bury FC has kicked off its partnership with tappit, which will see the Energy Check Stadium become cashless, as the club looks to become the UK's first stadium to become totally cashless. The away shirt sponsor provides cashless experiences to sports events, festivals and other entertainment venues and will now implement this at the English Football League ground. 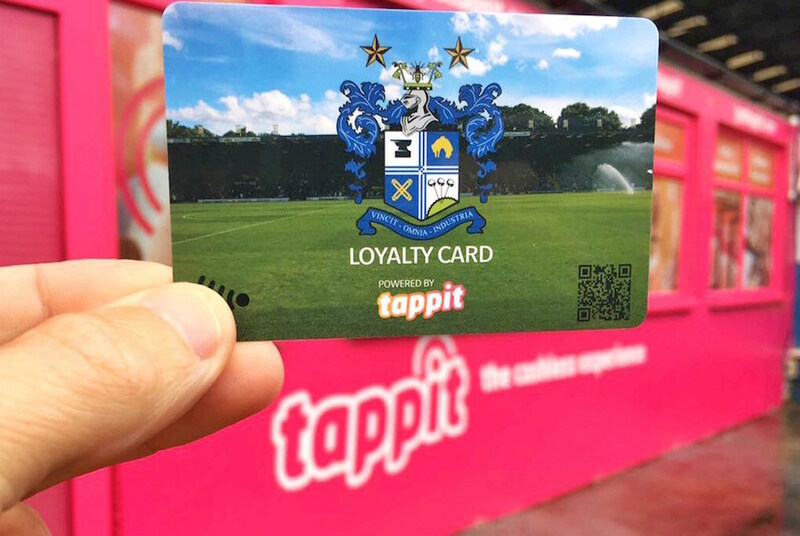 Fans will have a Bury-branded NFC-enabled tappit card, which will be prepaid, they can then use the card to buy various items on matchday including food and drink. The club hopes that it will reduce queues and will be able to be used at four of the club’s concession stands, the Members Suits, Starkies Restaurant, the Social Club, and the retail shop. tappit has been used at a number of sporting events including the Dubai Rugby 7’s and also worked with HSBC for another Rugby 7’s event in Hong Kong using wristbands.